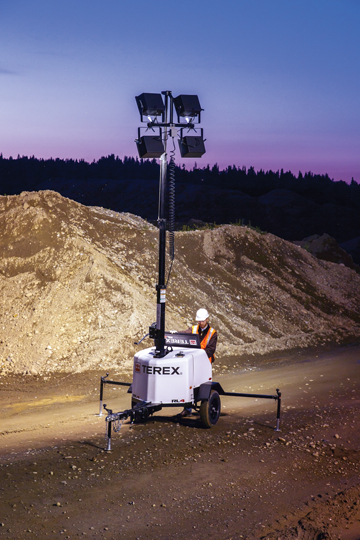 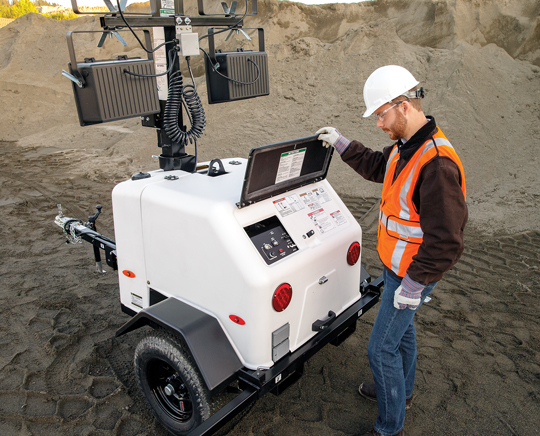 The Terex RL4 is a durable, cost effective solution for jobsite lighting. 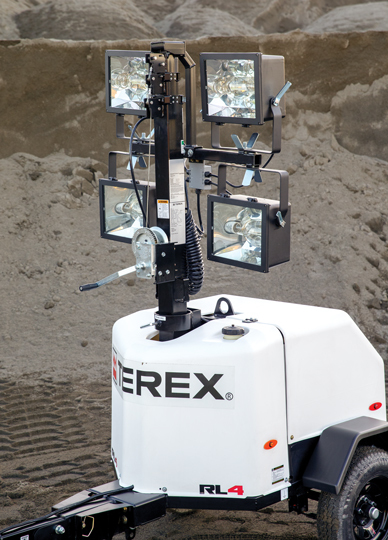 The 30 ft (9.14 m) extended-height floodlight tower provides 4,000 Watts of light. 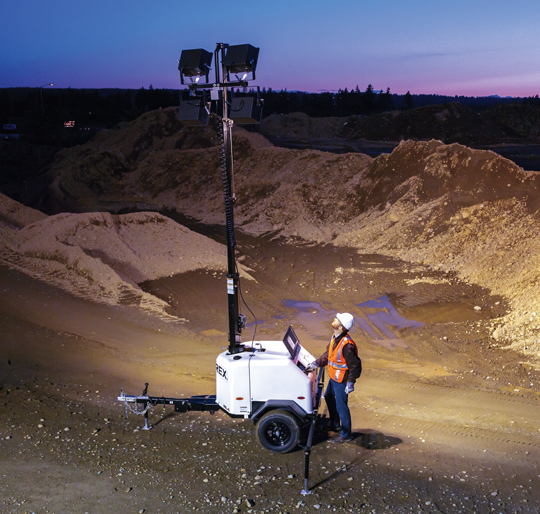 359º non-continuous tower rotation allows for pinpoint light positioning. 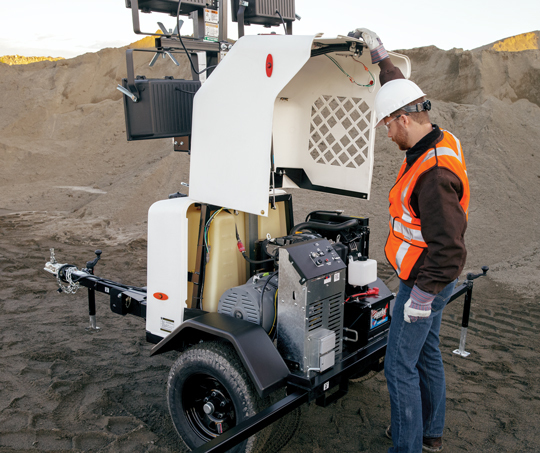 The compact size of the RL4 enables transportation of up to 10 units per truck, maximizing freight dollars. 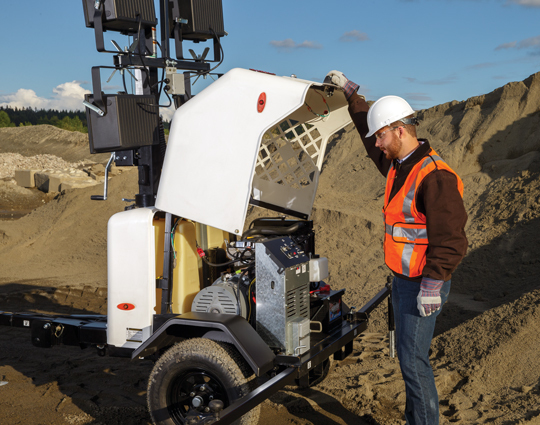 Designed to help get the job done on time and on budget, this model offers the right combination of capabilities and value.